SPRING SUMMER SEPARATES ARRIVE IN STORE!!!! This spunky viscose/elastane BRIGITTE JERSEY TOP is named after Brigitte Bardot. It features a scooped boat neckline, 3/4 sleeves and contrast detailing. 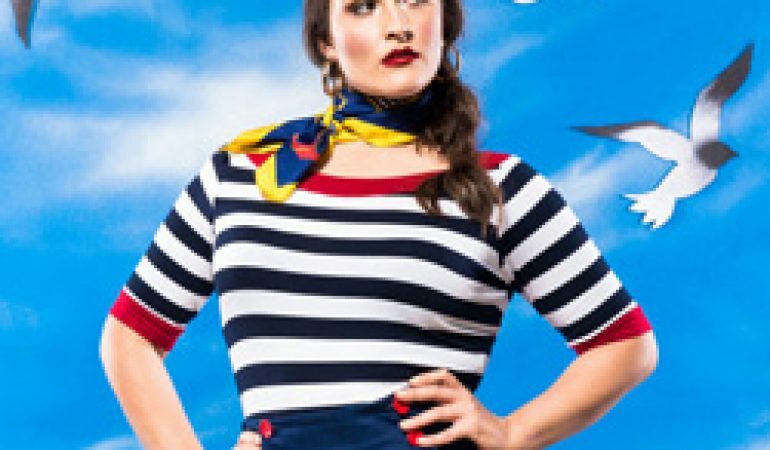 The SAINTE MAXIME SKIRT, features a high waistline, sailor-like front button and pocket detailing and is slightly a-line in shape. For an outfit were nautical meets Parisian Chic, wear with the stripey Brigitte Top. Or for a stylish transeasonal suit, team with the Cote d’Azur Jacket. BELLADONNA WOOL TOPS ARE NOW IN STORE!